Happy President’s Day! To all of you who got off work, congratulations. Enjoy. Really. I technically should have been off today, but my function is such that we had to come in. Therefore, I look forward to another day where I can stay home and quilt, quilt, quilt. Or run errands. Or clean the house. Or get that mammogram that I’m overdue for. Stars and Stripes pattern by Mark Lipinski, found in Fons & Porter magazine, Fall 2012. All the fabric is the Hurrah collection by Jo Morton. Started in October 2012, finished on Sunday, Feb 17, 2013. Machine quilted by LiMa Sews. 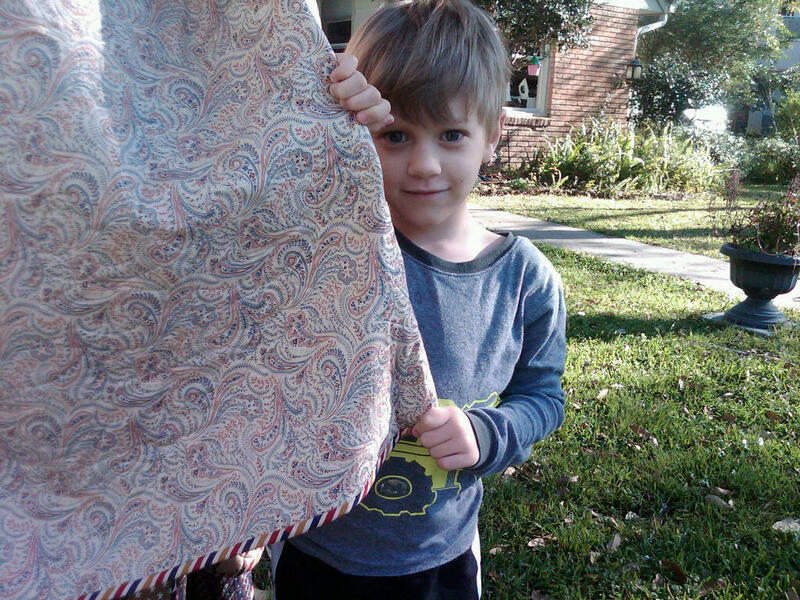 You can see a couple more pictures which better highlight the quilt design from her blog. Please visit here. She did a really great job and I will certainly use her services again. It is so great to get a quilt actually completed and in use. If I were to keep count, this would probably be my fifth completed bed quilt. I have made a crib quilt, one wall hanging, one bed runner, one quilted shawl, and two table toppers as well. (Four out of six of those I have given to my mother. Why is that? Because she is so hard to buy for!! But no bed size quilt yet!) 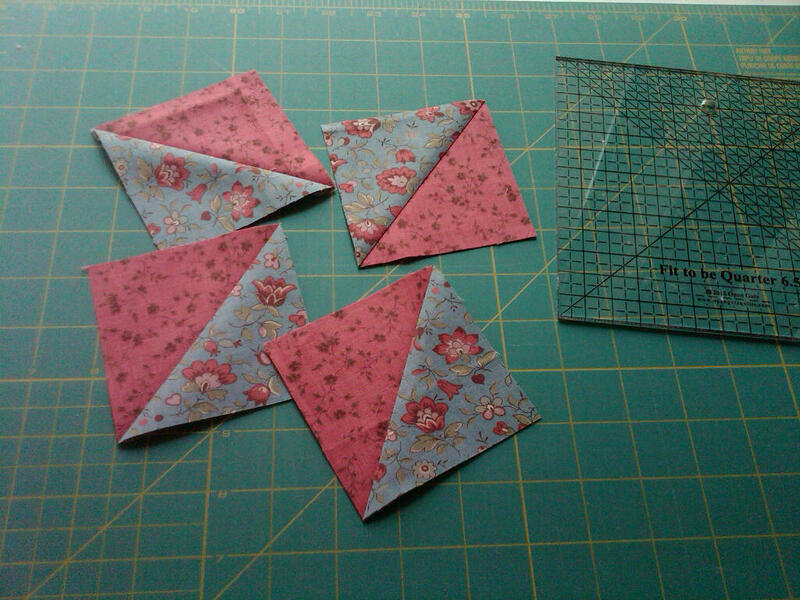 I have five bed quilt flimsy tops that are ready to be sent off or done on my small home machine. Lots of WIP though! I should probably gather a picture of each and catalog them on the site somewhere. Someday. Also, today is REHAB! I pushed myself last night and this morning to finish another block in the Blogger Girl’s BOM. Two goals with one block! 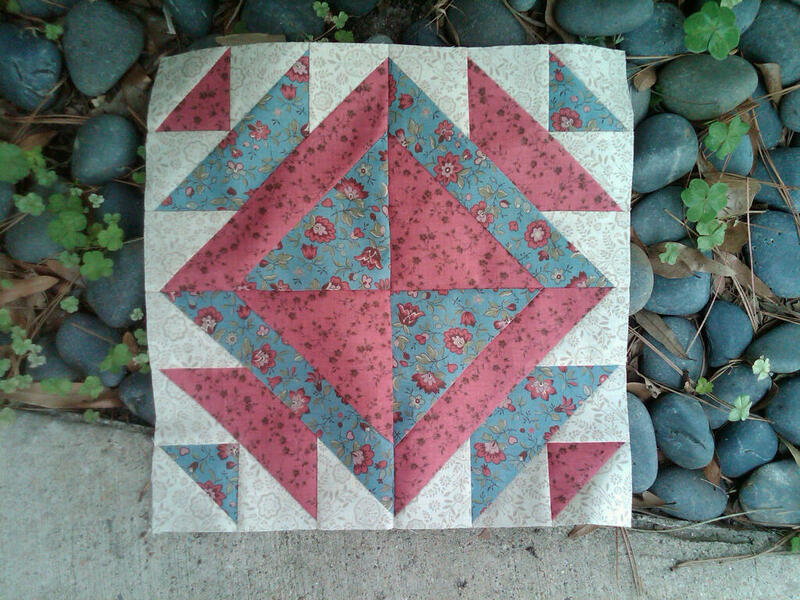 I have to make the alternate block still, but this one was a little tricky for me. Will do better on the second block to keep those points from getting cut off in the future sashing. I’ll keep them with my French General stash, for when I come across a good use for them. Hope you had a very productive weekend, or at least fun and relaxing. Thanks for stopping by today! Oh my! 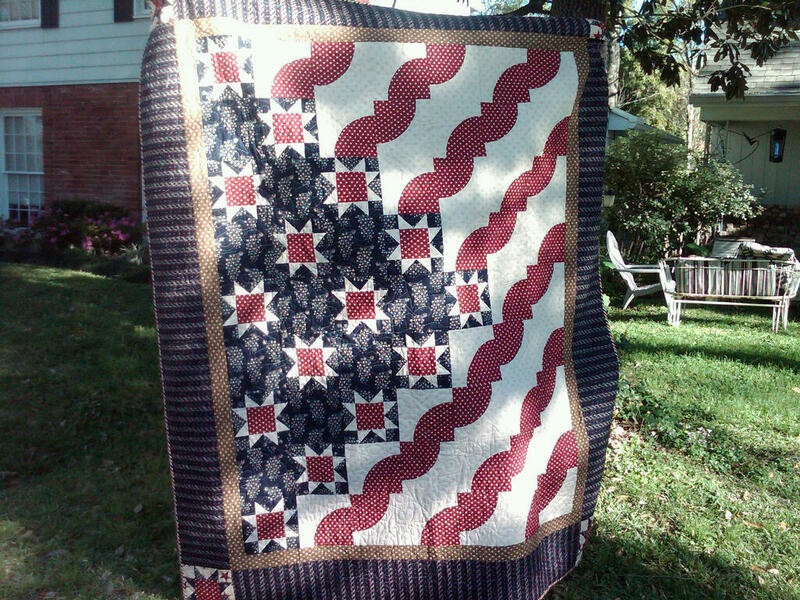 Your Stars and Stripes quilt is stunning! I know she’ll cherish it for years to come. Popping in from Sinta’s BOM Rehab. Lani – thank you for the kind comment! I appreciate your visit to my blog! I think your flag quilt is the prettiest one I have seen. It’s just beautiful… what a wonderful gift! Awwww, thanks Sinta! If you knew my MIL, you would know that it had to be something patriotic. I had fun making that one, with the curved piecing. Thank you Linda! I searched really hard online to find that backing too! 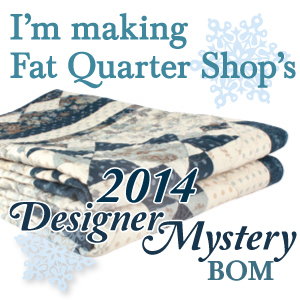 I really, really wanted it – probably my favorite fabric in the quilt, so I was glad to get to use so much yardage! I love the stripes on the binding. Perfect finishing touch!